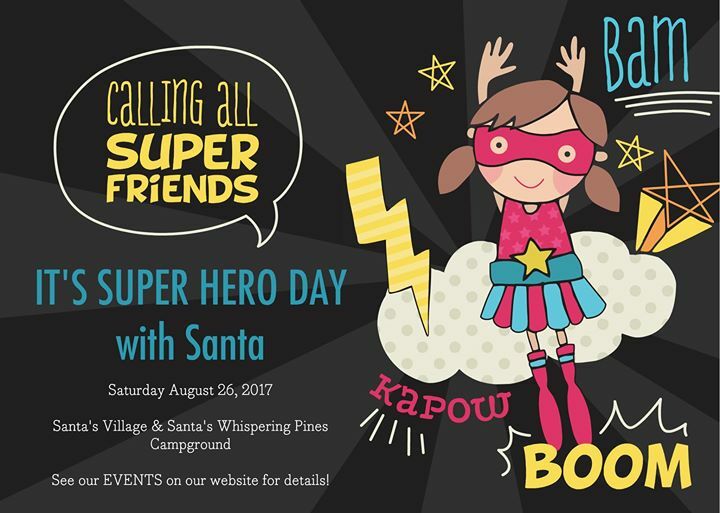 Calling all Super Friends! It's Super Hero Day with Santa! Wear your costumes (adults too!) and celebrate all things heroic with us. Wear your costume to Santa's Village and save $5 off the Big Zip (some costume modifications may be necessary for safety)! Special Events for Campers at Santa's Whispering Pines Campground at 7:00 pm.